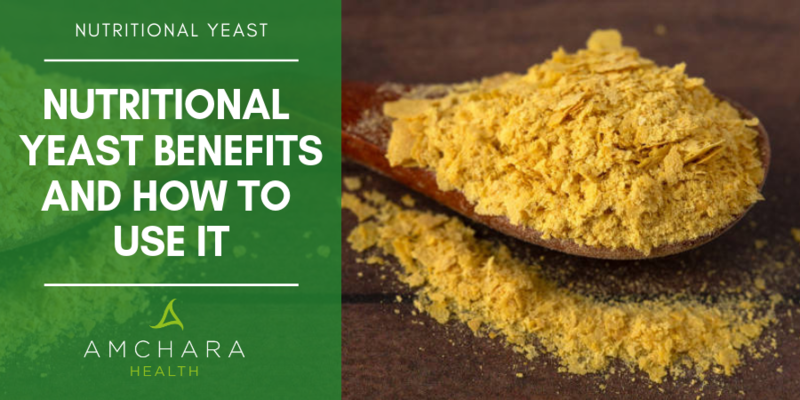 Nutritional Yeast - What Are the Health Benefits? Nutritional yeast first came to attention as an ingredient in vegan cooking. It’s now making its way into mainstream store cupboards. Nutritional yeast is not just for vegans. A great source of protein, B vitamins and antioxidants, it also improves immunity and may help us avoid metabolic diseases. How is Nutritional Yeast Produced? What Nutrients are Contained in Nutritional Yeast? I Have a Yeast Intolerance – Can I use Nutritional Yeast? Sometimes known as Nooch, it’s a lightweight yellow-brown, flaky or powdery substance comprised of a type of yeast called Saccharomyces cerevisiae. The same species of yeast is used in bread and beer making. Yeast is a single-celled fungus which feeds on sugar and starch. Saccharomyces cerevisiae exists in many different strains, and different strains of the yeast are used in brewing and baking. It has a nutty, cheesy, savoury flavour. It tastes a little like parmesan cheese. For this reason, it’s often used in vegan cheeses. Nutritional yeast is acceptable to vegans because although yeast is a living thing, it’s a single-celled organism with no nervous system, so it’s considered to be part of the plant kingdom. The yeast is fed on sugar or molasses for a number of days. It’s then heated to deactivate it and dried until it’s a crumbly texture. So the yeast stops growing and won’t further divide. Nutritional yeast is available either fortified with vitamins, or unfortified. Most nutritional yeast on sale is fortified. When it’s fortified, vitamins are added during its manufacture. If it’s unfortified, it will simply contain the nutrients which are produced as the yeast naturally grows. Nutritional yeast contains protein. It’s a complete protein, which means it contains all nine of the essential amino acids needed by our bodies. Complete protein foods are relatively rare in the vegetarian world – nutritional yeast shares this honour with buckwheat, soya and quinoa. One tablespoon of nutritional yeast contains in excess of 2g protein. As a bonus, nutritional yeast is naturally low in sodium and fat and contains only around 17 calories per 5g serving. Nutritional Yeast naturally contains B vitamins, and fortified varieties will contain higher levels as it’s B vitamins which are often added. When fortified, it is rich in thiamine, riboflavin, niacin, folic acid and pantothenic acid. It also contains vitamin B6, biotin and vitamin B3. 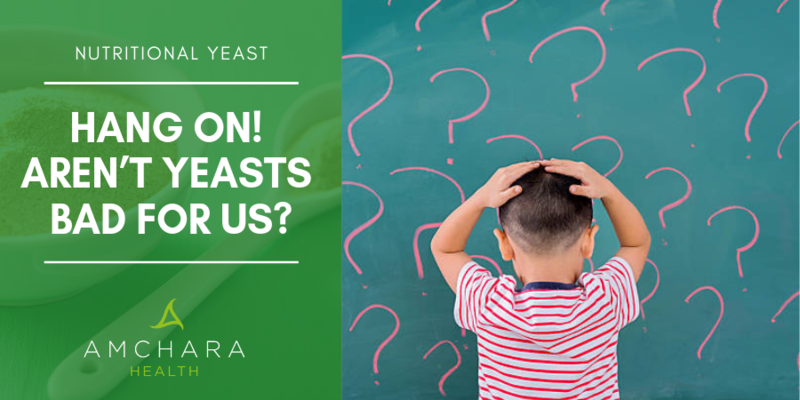 Nutritional yeast will contain vitamin B12 only if it’s a fortified variety because although the yeast is able to incorporate added vitamin B12 into its cell walls, it doesn’t appear to naturally produce vitamin B12. B12 is scarce in plant foods. Nori - a kind of seaweed used in sushi – does contain vitamin B12, as does a type of algae called chlorella, although it’s currently unclear whether this B12 can be utilised by our bodies (1). However, the B12 in nutritional yeast can be used by our body. One study gave vegans fortified nutritional yeast and found it raised vitamin B12 levels (2). Apart from its protein and vitamin content, nutritional yeast has been found to have a number of health benefits. Yeasts contain a type of fibre in their cell walls called beta-glucans. These are a type of polysaccharide. Yeast contains a specific kind of beta glucan called beta-1,3/1,6-glucan. The numbers simply refer to the structure of the molecule. Although beta-glucans derived from oats (which is beta 1,3/1,4-glucan) are the most widely studied class of beta glucans with regards to their effects on cholesterol, it appears yeast beta glucans may have a similar effect. One study gave 15g yeast beta-glucan to obese men with high cholesterol. Blood levels of total and LDL cholesterol ('bad') were significantly reduced after eight weeks (3). The beta-glucans found in yeast have been widely studied in relation to their beneficial effects on the immune system. It appears the beta-glucans are recognised by immune cells contained in the mucus lining of the intestines, which then activate the immune system. Yeast also contains a second type of polysaccharide called alpha-mannan, which is thought to act in much the same way. One trial involved 150 people who had experienced at least three colds over the previous six months but were otherwise healthy. They were assigned to two groups, one of which was given yeast beta-glucan, and the other given a dummy pill. The researchers found the people taking the beta-glucan had 25% fewer episodes of the common cold (4). Other studies have found yeast beta-glucans reduced not only the amount of colds suffered from but also their severity. Scientists think beta-glucans and alpha-mannan affect our immune system by preventing pathogenic bacteria attaching themselves to our intestinal walls, and so preventing infection. They also stimulate macrophages, which are a type of white blood cell which can locate and eat pathogens such as bacteria, viruses, fungi, and parasites. Yeast beta-glucans don’t simply stimulate the immune system – it appears they can modulate its activity by decreasing inflammation, too. In the case of overweight people who were given a supplement of beta-glucans for six weeks, their waist circumference and blood pressure were reduced. It was also found the beta-glucan supplement increased an anti-inflammatory molecule called interleukin, whereas pro-inflammatory molecules were reduced (5). He found those given the yeast reported better overall health, recovered from exercise faster, had reduced fatigue and even less anger. Nutritional yeast contains amino acids which are building blocks from which it forms an antioxidant called glutathione. This is often called the master antioxidant. Antioxidants help protect our cells from damage by unstable molecules called free radicals, which have been implicated in chronic disease and ageing. Glutathione is found in high levels in the liver where it is involved in detoxification. Low levels of glutathione have been observed in inflammatory conditions, neurological problems, cardiovascular disease and even osteoporosis. The alpha-mannan in the yeast cell walls appears to be able to feed certain beneficial intestinal bacteria involved in both maintenances of body weight and immunity. A well-balanced microbiome is crucial for a healthy digestive system. Saccharomyces cerevisiae has been successfully used as a treatment for gastroenteritis, as it has been found to be effective against E. coli and Salmonella. But aren’t yeasts bad for us? You may have been told over the years you have candida albicans, a type of yeast which can proliferate in our bodies, especially if we’ve ever taken antibiotics. Candida infestation has been blamed for all types of digestive upsets and a host of other symptoms such as brain fog, menstrual disturbances, chronic fatigue and so on. Although at one-time candida was blamed for almost all ills, we now know it’s not as common as was once portrayed. Most of us naturally have a certain amount of candida residing in our digestive systems. It only becomes a problem if it’s allowed to multiply rapidly – which may occur because of a poorly functioning immune system or a disordered population of gut bacteria. Once this happens the candida often breaches the intestinal barrier and is able to access the bloodstream. For many years people were told to avoid eating anything containing yeast as this may cause candida to reproduce. However, this view is now accepted as being erroneous, because eating yeast will not cause yeasts to grow. Yeast, as we know, feeds on sugar. Added to this, Saccharomyces cerevisiae and candida, although both yeasts, are significantly different types. After the saccharomyces cerevisiae is fermented to make nutritional yeast it’s deactivated, so there’s no chance of it growing inside your body. If however, you suffer from yeast intolerance or allergy, eating nutritional yeast is not advised. Not everyone who has a candida infection will have a yeast intolerance, though. Nutritional yeast is a versatile ingredient which can be added to a variety of dishes. 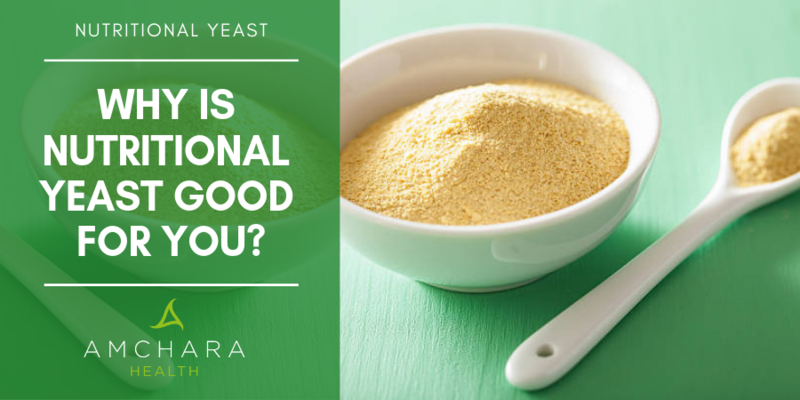 Nutritional yeast has often been seen as the preserve of vegan eating, however, it’s a useful and versatile foodstuff in its own right, being a good source of protein, B vitamins and antioxidants. Research is now showing it has a range of health benefits including benefits to the immune and digestive systems as well as decreasing cholesterol levels and inflammation. Did you find this article useful? We’d love to hear your thoughts, get in touch! Have you any tips for using nutritional yeast?